Look at the colours too…. It is 4mm thick (I measured) and is quite heavy too. It is from Britannia and is dated 1797! That is even before the Victorian era! I wonder what it bought? Was it a banana, was it a horse, was it somebody’s monthly pay, did it sit in the gutter….I keep wondering where it has been, what it has heard and what it has meant to its owners. Lastly, I wonder how it got to South Africa. It must hold so many stories…..it is fascinating to try and imagine it’s journey. 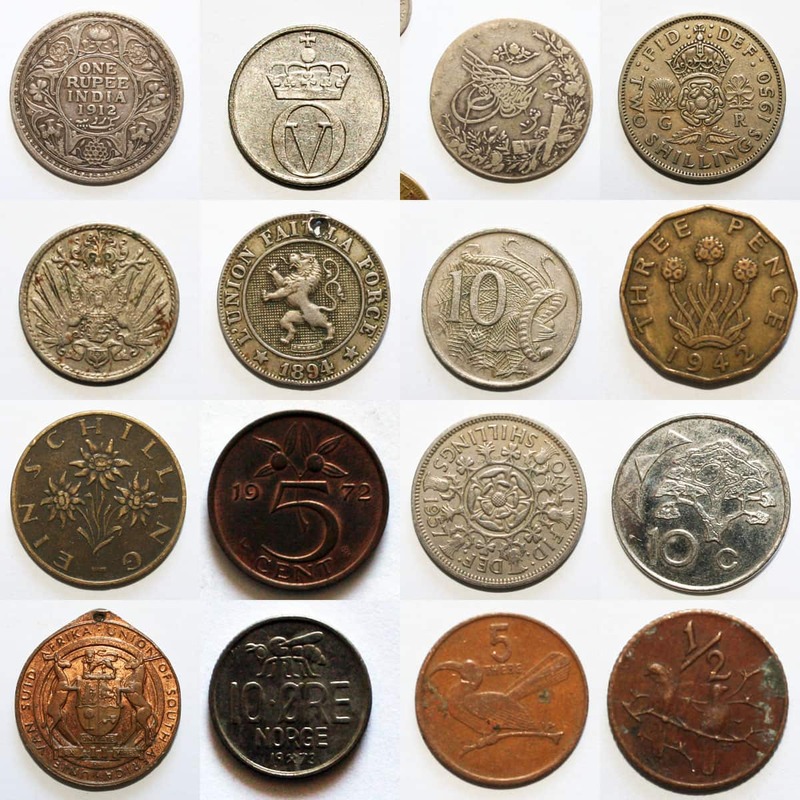 This entry was posted in Blog and tagged coin collection, coin design, Coins, money, old money. I love old money ! I have an awesome collection, including notes which have become more interesting to me than coins in the last few years! I really like the colour gradient picture you took of them :) And my favs are always the oddly shaped ones or ones with holes in them. The designs are sometimes so fascinating.